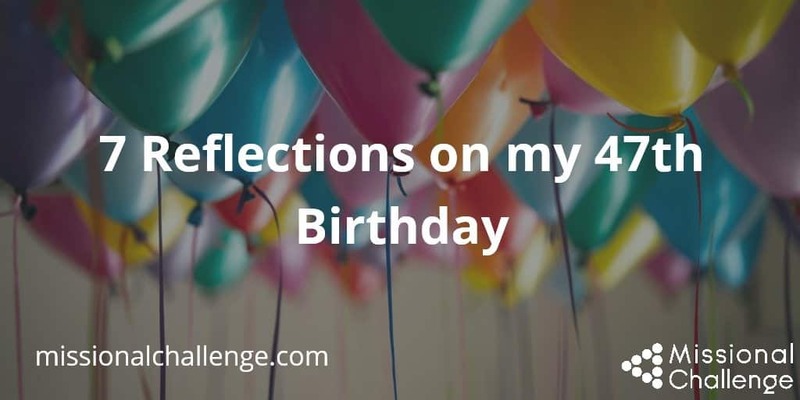 7 Reflections on my 47th Birthday! 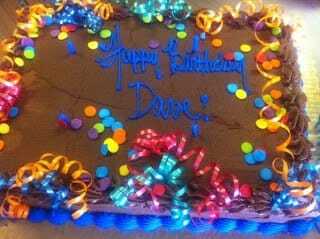 You are here: Home / Blog / Spiritual Growth / 7 Reflections on my 47th Birthday! 7 Important Dates in the past 47 years (plus my reflections)! 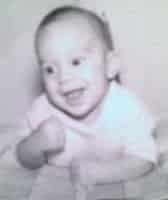 rch 8, 1965 – I was born to Ray and Kay DeVries in Northridge, California. My dad was pastor of Family Reformed Church in Canoga Park at that time. We lived in the parsonage next to the church at 22222 Saticoy St. I’ve often been asked about growing up in a pastor’s family – I loved it! We moved to Pomona, California when I was two, and back to Canoga Park, California when I was in 3rd grade. 2. October 26, 1982 – My dad died – I was 17 and a senior in high school. I still remember the day as if it was last week. My dad was on a business trip to Colorado Springs and my mom was with him. It was a Tuesday and it was Homecoming Week. I played varsity football and was actively involved in all the school activities at LA Baptist High School. and could hardly believe what they told me. My dad died of a heart attack that morning. 3. August 22, 1987 – I married Deanne Keyes, the love of my life and mother of my two kids. We started dating during my last semester at Biola University (spring 1986). I was infatuated by her beauty – and totally amazed by her commitment to Jesus Christ and to world missions. We shared a lot in common and I loved the long conversations we had together. After she moved back to San Luis Obispo to graduate from Cal Poly, I knew that I wanted to marry her and spend the rest of my life with her. She is my best friend and I’m so grateful that God has brought us together. It’s hard to believe that this summer we will be married 25 years! We’ve finally begun to understand that God brought us together – not for our happiness but for our holiness. She has helped me to become more like God than anyone else in my life. Our marriage isn’t perfect, but God is using it to perfect us. This makes me smile! 4. February 17, 1990 – Our son Douglas was born. I had no idea how awesome being a dad would be. I love my son with all my heart. It’s been so wonderful to watch him grow – and now he’s 6’5″. Since I never reached 6′ – he towers over me. Some of my special memories with Doug include coaching t-ball, summer concerts at the Hollywood Bowl, Stockade, and listening to him play the piano and flute. I can hardly believe that he is now 22 years old. He is mature, responsible, handsome, and a follower of Jesus. He truly loves God and is actively engaged in serving within his church, Central Presbyterian in NYC. In May he will graduate from The Juilliard School. I am so proud of him! And grateful to God for giving me a son. 5. November 4, 1990 – Lake Hills Community Church in Castaic, California, started public worship services. This was an incredible day and a wonderful memory. After graduating from seminary in May, Deanne, Doug and I moved to Castaic to start a church in partnership with the Missionary Church Western District. I was just naive enough to think that we could do it. Just three months after arriving in Castaic, we started worshipping at Live Oak Elementary School. In many ways we experienced a premature birth. We spent sixteen years serving at Lake Hills. God taught me so much through those years. I am so grateful for the men and women God used to smooth out my flaws during those years. I learned a lot about church planting and my experiences at Lake Hills are helping me to help other church planters. I am so grateful for the opportunity to start this church – and for the many lives that were changed forever through this church. 6. February 26, 1992 – Our daughter Madeline was born. Maddie is her daddy’s princess. She has brought so much joy into my life. She started dancing when 3 years old and now I’m captivated as I watch her dance on stage with the Pacific Northwest Ballet. We’ve had a lot of great memories together and I especially am grateful for family fun nights, watching her ballet performances, and trips to Hume Lake. Maddie has matured into a caring, thoughtful, generous, beautiful young woman who loves and follows God. She has a heart and passion for missions and is eager to share the gospel with others. I am so proud of Maddie! Thank you Lord for my wonderful daughter! After five years, I graduated with a D.Min. from BGU. I really enjoyed my courses and learned so much. My doctoral dissertation was on Missional Transformation: Fueling Missionary Movements that Transform America. I am currently using much of what I learned to train church planters to start churches by making disciples. 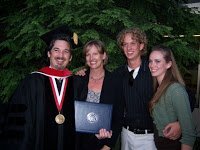 The completion of this degree was really the launching pad that has set the direction of my current ministry as a missionary with OC International. Reflect on how God has shaped your life! Hi. I am 62, this is 2016, I was looking for a pastor prior to your dad, saw your post and wanted to read it. I can still hear your dad preaching and singing a song he wrote for VBS, back in the dark ages when it was held during the day and most mom’s did not work outside of the home. You and Tommy were the cutest, everyone wanted to babysit, my sister got to but I was too young and Doris Erkineff was always around. I didn’t know Mary, I guess you had moved but I remember hearing that Kay had a daughter. God bless you of course he does. Thanks for writing this and what year was it?